Our adhesives provide better bonding and stable performance compared to our competition. We take special care of the selection and handling of our raw materials and our finished adhesive product to ensure the very best quality and performance. We offer our standard adhesive and customized, upgraded recipes for special applications as required by our customers. We will find the right formula for your needs. Our technical support staff evaluates specific application needs to provide the right formula to ensure a total solution for our clients. Our specialty glue is largely applicable to tube winding, cones and cores. We offer dextrin and PVA glue in liquid and powder form. Our dextrin formula is the market leading adhesive for tube winding in China but we also offer adhesive solutions for other applications. Our technical adhesive experts will work with you to understand your production environment and process in order to formulate an adhesive product that will work for your specific application. 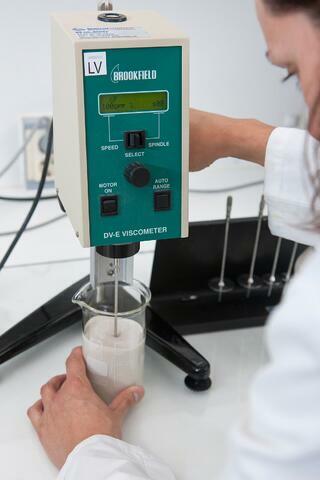 We test our adhesive viscosity, PH and solids to offer appropriate levels to optimally suit your application. We have manufacturing locations in Dezhou, China and Subang, Indonesia and export to surrounding countries such as Vietnam, Japan, Korea and Taiwan. Reach out to one of our customer service representatives with your speciality adhesive needs for your packaging products, and we will give you a personalized quote.